D & L Towing & Recovery, LLC is proud to be the premier towing service in Norfolk, NE for any and all towing needs. 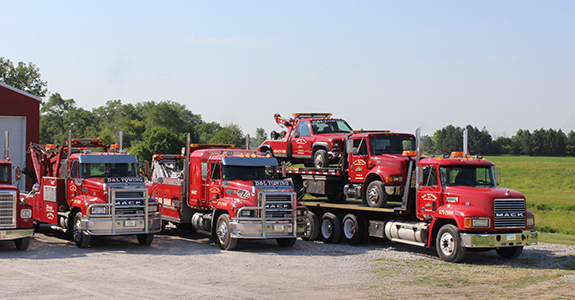 With light to heavy duty towing capabilities, a comprehensive fleet of wreckers and the industry experience you’re looking for in a seasoned towing provider, there’s no reason to look anywhere else for a tow in Norfolk, NE! When you’re in a jam, stranded on the side of the road, being able to call for prompt, professional and reliable towing and roadside services means having a direct line to safety and salvation. At D & L Towing & Recovery, LLC, we specialize in all types of towing and recovery, including long-distance and local hauling, vehicle lockouts, fuel delivery and tire changes. 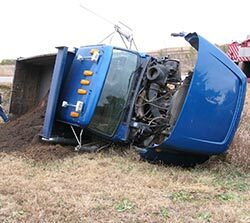 We’re also equipped with the necessary resources and equipment to deal with accident recovery and cleanup, agricultural recovery winch-outs, class A/RV and bus towing, trailer service, heavy/medium duty towing, tractor and trailer towing, un-decking, pull-starts, light duty towing, cold weather recovery and much more! Simply put: we’re a complete towing authority. We’re available 24-hours a day, 7 days a week for your convenience! We are a local, family-owned and –operated business. We are a AAA towing company. Our business is fully licensed and insured, for your peace of mind. Our drivers have combined decades of experience.